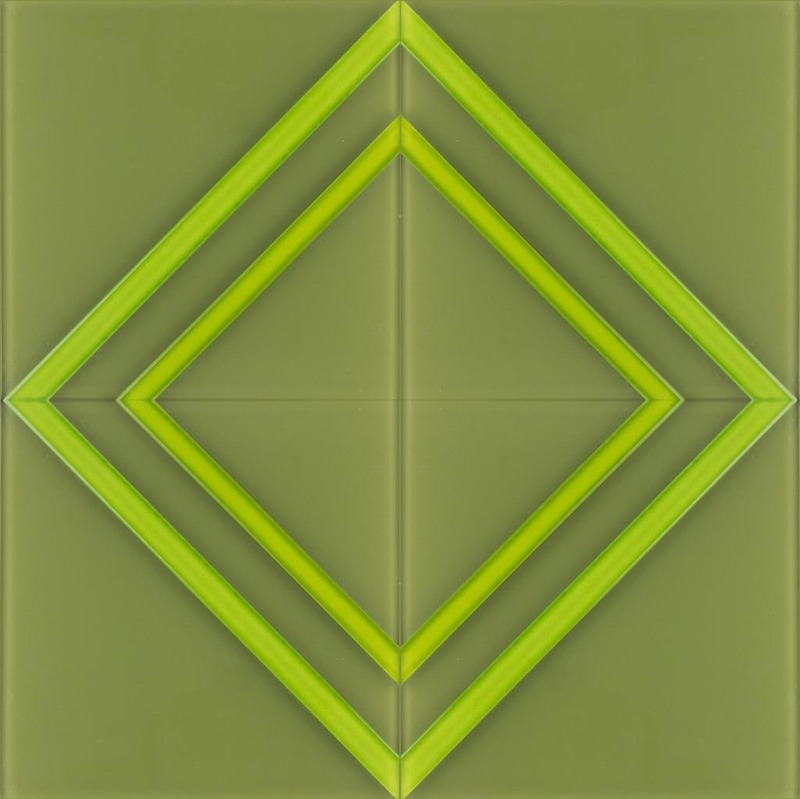 Mineral Tiles has introduced a new designer tile brand, the Terje Glass Peel & Stick Decorative Tile Line for modern art wall decor and backsplash. Aside from their potential as a colorful accent to your backsplash or kitchen counter, Terje Glass tiles are also versatile enough to stand as a modern art wall decor on their own. Coming at the heels of the highly popular DIY Backsplash Kit, the Terje Glass is a decorative glass tile line designed and endorsed by world renowned Norwegian glass artist Terje Lundaas. Now based in Miami, Terje Lundaas has lent his artist's vision to the affordable glass tile medium, for people who wish to enliven their backsplash, kitchen or bathroom walls with a colorful alternative to the usual, heavier stone, ceramic or metal tile. Although the Terje Glass line does not come with the utility blades, sponging gloves, tile spacers or the premixed-grout of the DIY Tile Backsplash Kit, it is also backed by the same peel and stick technology as that of the DIY Tile Backsplash Kit. This means the Terje Glass is also as easy and painless to install. The Terje Glass line is made up of 18 distinct designs by Terje Lundaas that would surely complement any bathroom or kitchen color scheme. Fused onto traditional glass tiles, the colorful designs are named Autumn Leaf, Blue Eyes, Classic Elega, Cold Lake, Crystal Drops, Deep Blue, Greek Summer, Green Grape, Lily Blossom, Little Forest, Lovely Violet, Orchid Garden, Pure Diamond, Quiet Soul, Romantic Rose, Sweet Pumpkin, Turquoise Sto, and Winter Wind – which gives you an idea on the range of design possibilities the Terje Glass tile line offers. The play of light on the translucent surface of the Terje Glass alone is something no conventional tile can give. 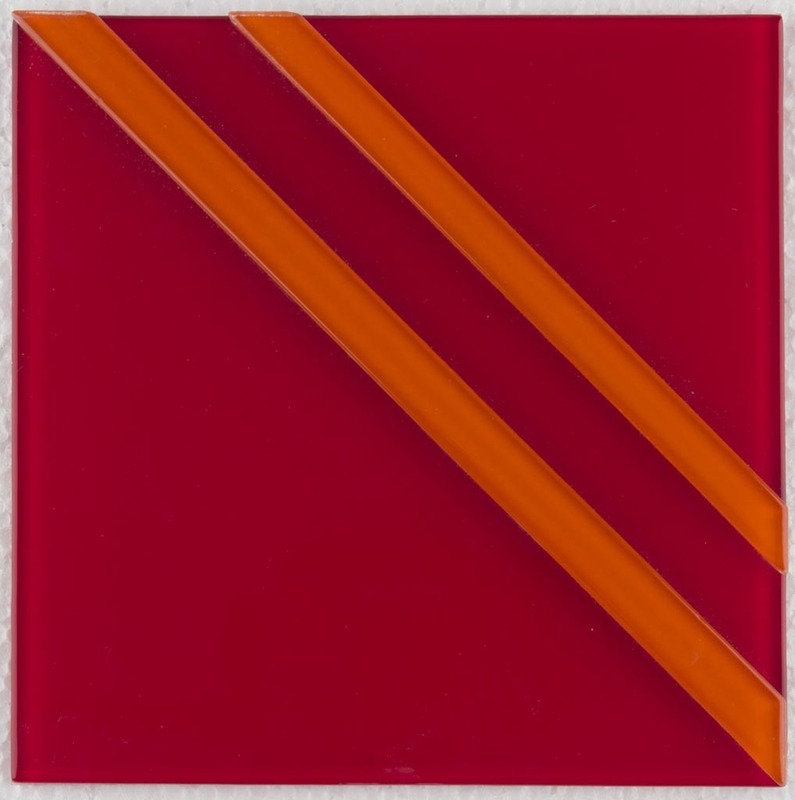 Aside from their potential as a colorful accent to your backsplash or kitchen counter, Terje Glass tiles are also versatile enough to stand as a modern art wall decor on their own – befitting a name whose colorful works, termed 'Lyrical Abstractions,' are collected and displayed by hotels like the Ritz Carlton Hotels and The Breakers of Florida, the Hyatt Resort of Waikiki, and Royal Caribbean Cruise International and Norwegian Cruise Lines. 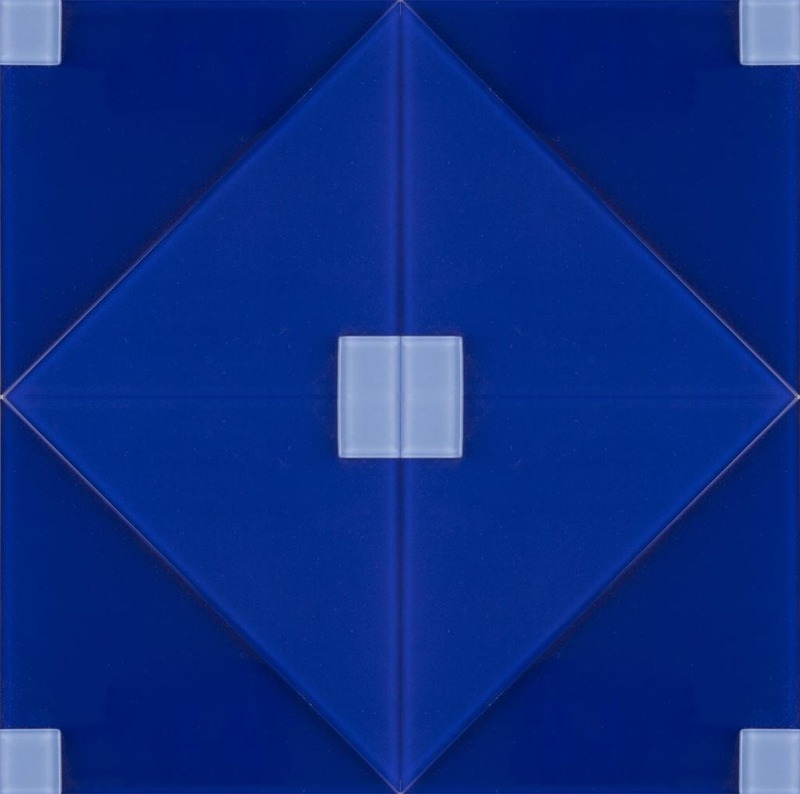 Each 3.64 pound pack of four 6x6-inch glass tiles forms a square foot diamond design which can be rearranged to suit your design scheme. The manufacturer suggested retail price is U$15.00 per square foot. Glass tiles are becoming more and more popular as an alternative to traditional ceramic, stone, and stainless steel tiles because they are relatively more affordable – and surely more colorful options for the serious or amateur tile decorator. They are also unique opportunities for complementing the more somber looks of stone and ceramic, and lending a touch of gemstone color when placed side-by-side with stainless steel. Mineral Tiles is a prime web-based tile retailer. Proud of its ability to provide high quality mosaic and stainless steel tiles, Mineral Tiles works directly with manufacturers, providing customers with the largest variety of tiles to suit any tile decorating requirement.